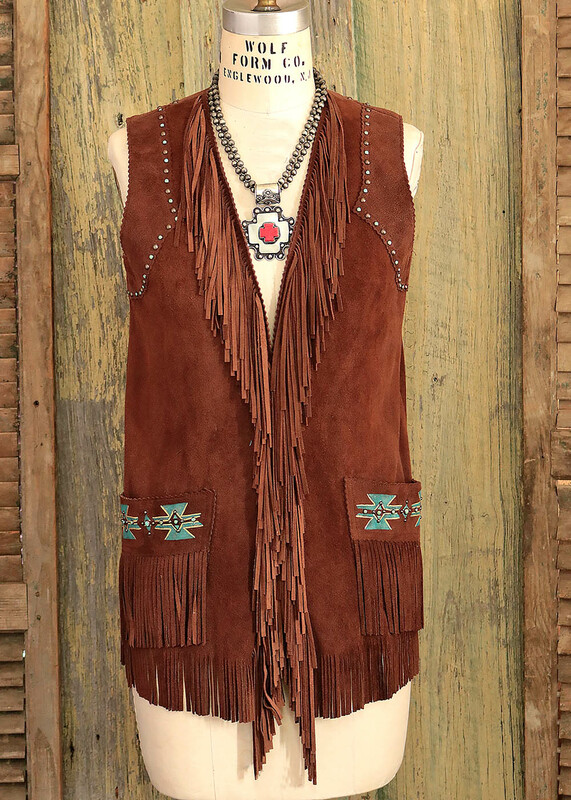 Sonora Vest is inspired by a Native American look but with a twist of Bohemian hippie. 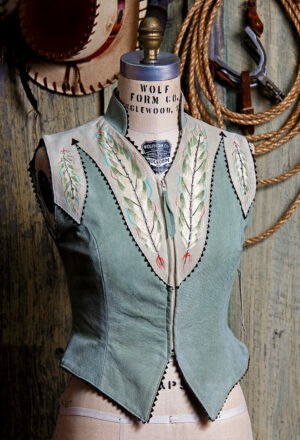 Patricia Wolf’s hand painted pocket treatment is carefully applied by one of the artists in Patricia’s design studio in Texas. 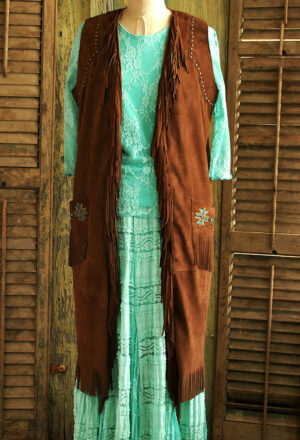 Brass and turquoise studs line the front and back yoke in a scroll design. 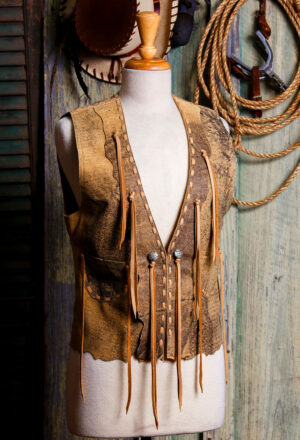 The vest is fringed at the hem and front. 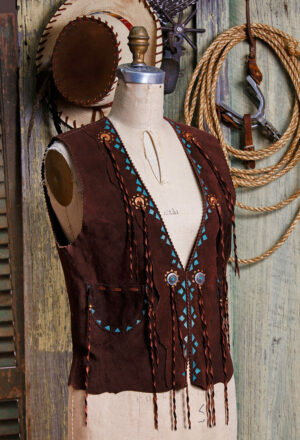 Styled with an easy fit design to work with a variety of figures and shapes. Please see size chart to find your size. Call our customer service or email with any questions about your correct size.